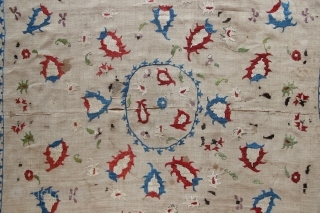 17th century Ottoman bocha. 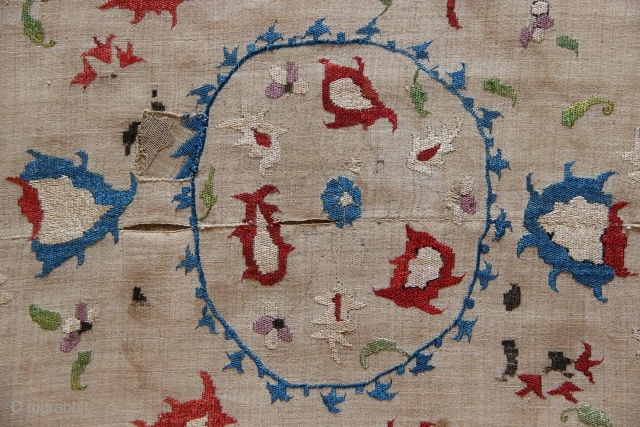 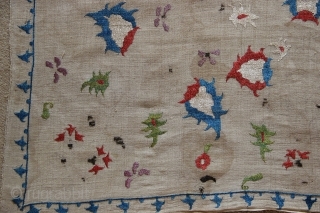 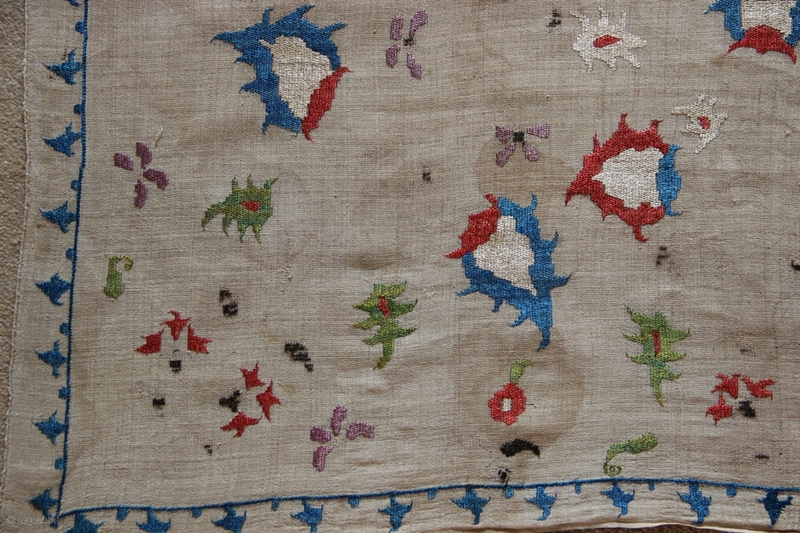 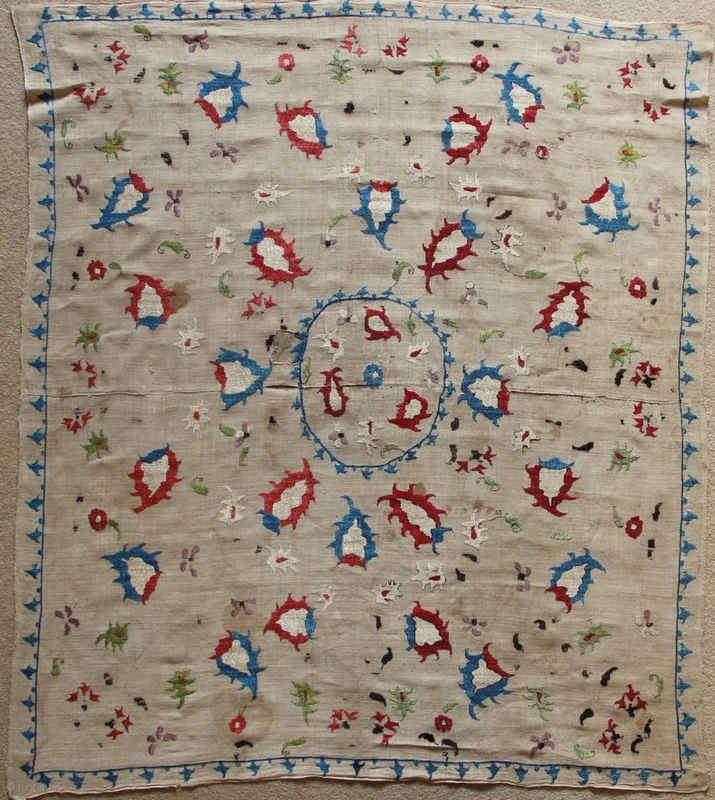 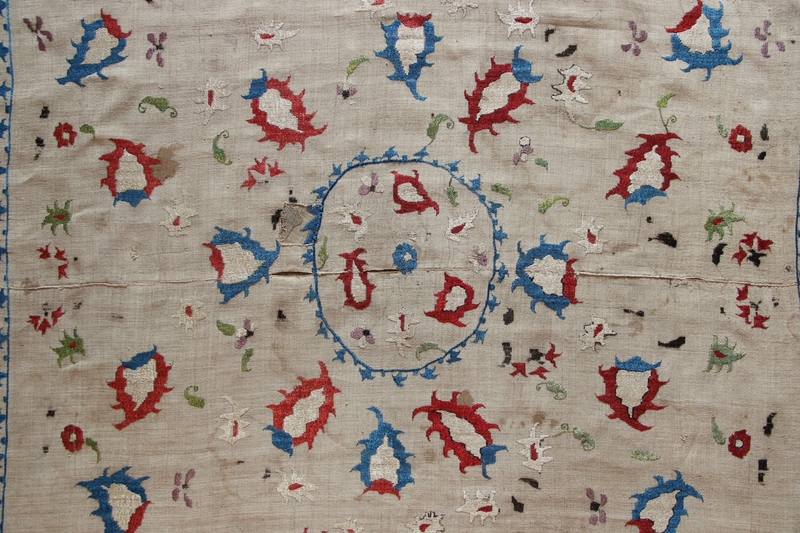 The surviving embroidery is in excellent condition, only the black stems have corroded away. Superb colour and movement in the drawing of the flowers around the medallion. 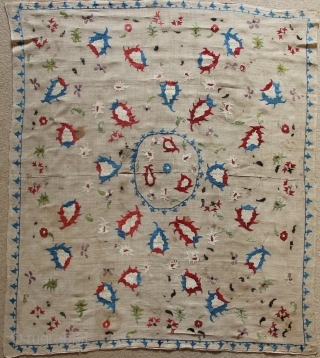 70 x 95cm.